New. Sewn binding. Cloth over boards. With dust jacket. 224 p.
Very Good. 068480364X ALL BOOKS SHIPPED WITHIN 1 DAY OF PURCHASE! Very Good. Sewn binding. Cloth over boards. With dust jacket. 224 p. Bob Rotella is a golf coach who has set out to help golfers revolutionize their mental habits. In this book, he explains his method of mental game management, whereby players must accept the results of any shot, select shots realistically, and remain calm and undistracted. Good. Sewn binding. Cloth over boards. With dust jacket. 224 p. Bob Rotella is a golf coach who has set out to help golfers revolutionize their mental habits. In this book, he explains his method of mental game management, whereby players must accept the results of any shot, select shots realistically, and remain calm and undistracted. A must read for the off-season!!! I am a golfer for over 40 years. I am a Maltby-certified club fitter. This is one of the best books on the mental side of the golf game, "The part between the ears" every golfer struggles with. 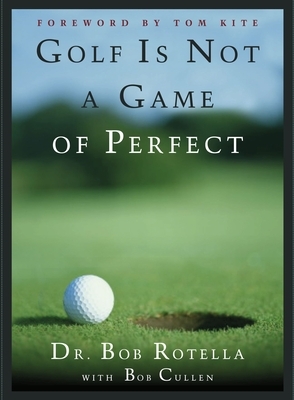 I agree with Dr. Bob that the mental part of the game is as much as 60% of a golfer's ability to score. Get this book if you want to improve.